Look at me. There’s nothing more masculine than me on a purple kayak with a blue and yellow flower cooler. 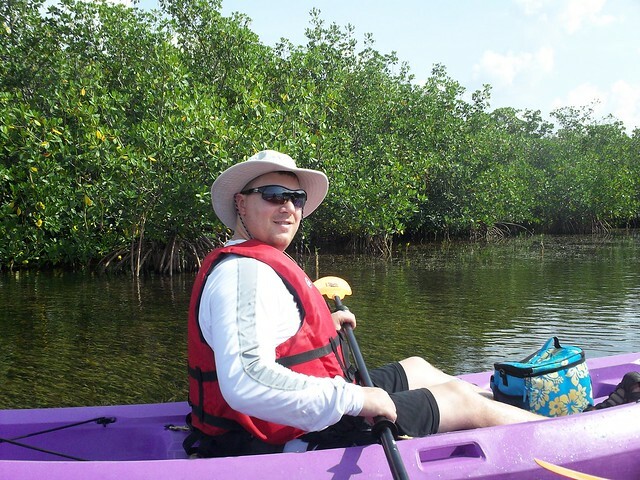 This is me kayaking in the Florida keys. Look there’s a mangrove tree. There’s another. And another. Wait, they are all the same tree. Look at me kayaking again. And what are you doing that is as much fun and manly as me kayaking? This entry was posted on Tuesday, September 6th, 2011 at 8:22 am and is filed under Main. You can follow any responses to this entry through the RSS 2.0 feed. Both comments and pings are currently closed.